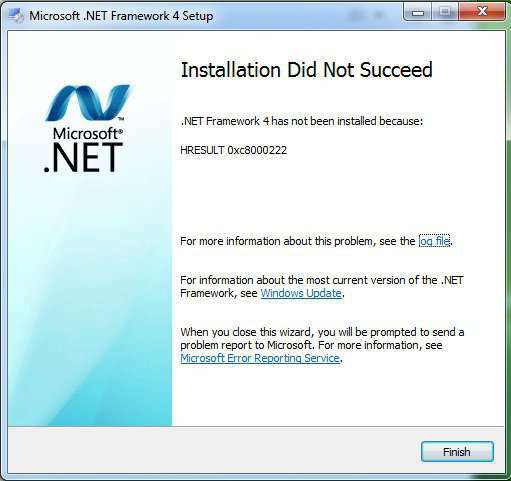 Some applications require the latest version of net framework pre-installed before you can run them. 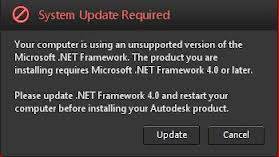 If you don't have the latest version pre-installed, You need to install it separately to replace the outdated one in your machine (Link for the latest net framework download :http://www.microsoft.com/net/download). 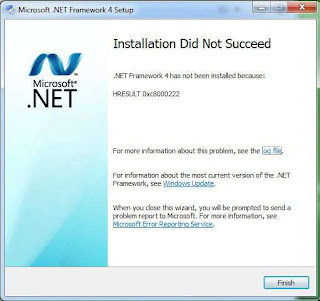 The problem we often have here is the error msg like HRESULT 0xc8000222 when we are about to finish the Net Framework installation. 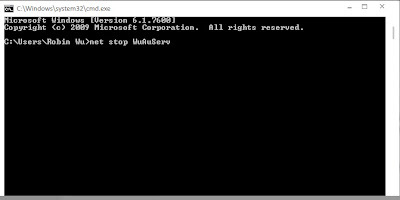 Click START > ALL PROGRAMS > ACCESSORIES > right click COMMAND PROMPT and choose run as administrator (A command prompt window will open). Find a folder named SoftwareDistribution. Rename it with any name (we don't use this folder anymore, Renaming it is only for back up purpose). Finish your net framework installation.